Berkeley Springs, WV June 9, 2015– MightyTykes™ is thrilled to announce that MightyTykes™ Infant & Child Weights have been awarded the PTPA Winner’s Seal of Approval. PTPA Media has North America’s largest volunteer parent testing community, with over 70,000 parents and was rated the Most Trusted Seal by over 22,000 parents across North America. Consumers looking for high-quality products and services can rest assured when they see the PTPA Winner’s Seal; it’s evidence of a products excellence from having been evaluated by unbiased parent testers. MightyTykes™ was among many entries from across North America competing to earn the PTPA ™ Seal. Independent parent volunteers evaluate products in their own homes to ensure that PTPA winners are chosen based on merit and consumer experience – not on commercial considerations. As a result, the PTPA Media™ Seal has quickly gained recognition as an international leader in certifying consumer products for quality, effectiveness and value. Their CEO and founder, Sharon Vinderine has appeared on over 100 morning shows as a reliable source for the latest and greatest in family products. The media and parents alike trust the collective opinion that PTPA Media represents. Being honored with the influential Seal of Approval from PTPA Media Inc. is a huge achievement for a product geared to families, children or parents. “It is great to have MightyTykes get positive reviews from PTPA’s vast pool of savvy volunteer parent-reviewers across the continent,” said MightyTyke’s founding president Isabella Yosuico. 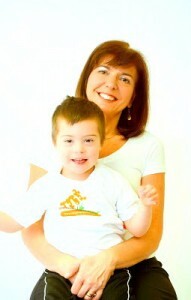 MightyTykes Wrist & Ankle weights were developed by a special needs mompreneur to help her infant son grow stronger. They’re now widely used by parents and therapists nationwide to treat a range of conditions common to typical kids and kids with special needs. Waterproof, latex/lead-free, lightweight, low-profile and high quality, MightyTykes are also used for kids fitness and for seniors. Heather won free MightyTykes and $150 SpaFinder Gift Certificate.